Pakistan has always been tomorrow land. It has always been obvious how to improve things simply because everyone else does the right thing first as a glowing example. Now we have a massive capital expansion program as per both China and India been planned. Even better, perhaps they can come to their senses and settle with India. Make it simple. give India all their silly land claims that you are fighting over in exchange for a free trade agreement. Add that to the massive land bridge and the economy will rocket. The military can then rotate west to confront the fools still sitting in the mountains with guns and end that threat forever in conjunction with the Afghans. This may even lead to a natural reunification with India as that idea is also sorting itself out rather well. What the population truly wants is simple freedom of movement as we now have in Europe. we may even create individual nations in India consisting of large cities as i have suggested elsewhere. This allows unique cultures to be preserved and nurtured and even put on display. Pakistan will target growth next year of 5.5 percent when it unveils its 2015-16 budget, with historically low interest rates and infrastructure spending expected to fuel the fastest expansion since the global financial crisis. GDP growth in 2014-15 was 4.2 percent, short of the 5.1 percent target. Pakistan has a population of about 190 million. They added 30 million people in the last 8 years. Pakistan will have a population of about 220 million in 2025. Pakistan could have 300 million people in 2050. They have an objective of slowing population growth. Infrastructure projects should be boosted by a $46 billion deal signed with China earlier this year to open up a road and energy corridor between the two countries. Minister for Planning, Development and Reforms Prof.Ahsan Iqbal has said that China-Pakistan Economic Corridor (CPEC) Pakistan’s Vision 2025 seeks to position itself from a lower middle income country to high middle income country by achieving the target per capita GDP of $4200. This would be a $925 billion economy. “In order to achieve this goal and create employment opportunities for new entrants into the labor force, it aims to target a growth rate of 8 percent between 2018 and 2025 with single digit inflation”, he said while addressing the think tank of China at Pak-China Joint Cooperation Committee (JCC) on CPEC in Beijing today. “Vision 2025 seeks to increase exports from the present $25 billion to $150 billion, tax-GDP ratio to 16-18 percent, investment rate in the range of 22-25 percent of GDP through domestic saving of 18-21 percent and foreign saving of 3-4 percent of GDP in the long run”. Vision 2025 is people centred and consider human resource as an asset for growth and development. Pakistan’s 110 million people below the age of 30 are great opportunity for growth. The leading priority is to tap the latent energies and potential skills of youth, in making them effective managers of change for tomorrow. Pakistan Vision 2025 lays down a foundation to put Pakistan on a fast track of development with the ultimate goal of transforming it to become one of top ten economies in the world by 2047, its first centenary. By 2025, it envisions Pakistan among top twenty five economies of world and an upper middle income country. Pakistan will also work towards Millennium Development Goals (MDGs) set as a result of UN Declaration in 2000.
a. Eradicate extreme poverty and hunger. b. Achieve universal primary education. c. Promote gender equality and empower women. f. Combat HIV/AIDS, malaria and other diseases. Urbanization Pakistan's urban population is at 40% right now and expected to increase to over 50% by 2025. Increase diaspora investment from our current USD 14 billion to a massive USD 40 billion. 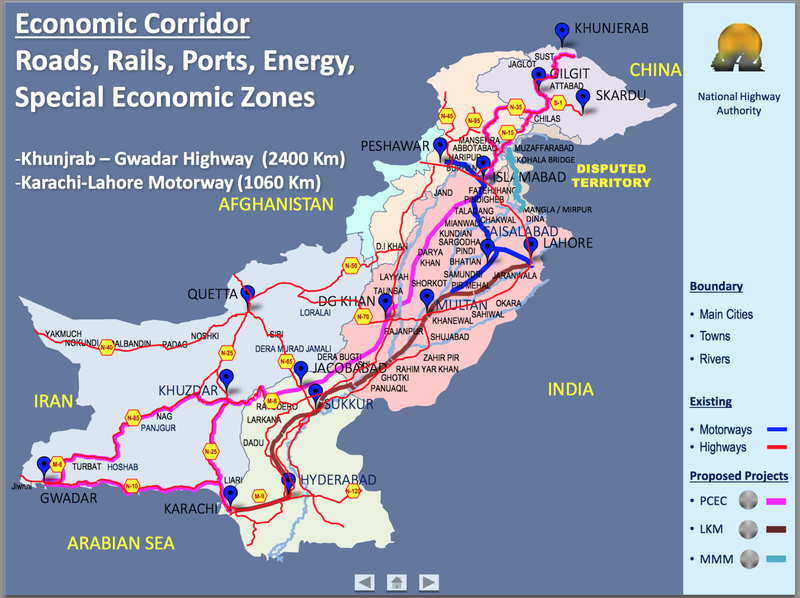 Pakistan wants to be the transit nation for the entire region due to its geo-strategic region. 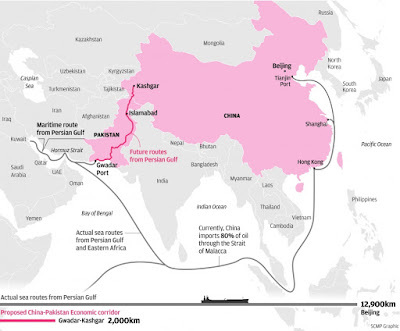 It lies nestled next to a energy starved china and India , land locked energy rich and mineral rich Central Asian states and Afghanistan Flanked by an energy rich Iran and just off the coast of the oil mecca of the world the middle east. Central to this strategy is the China-Pakistan Economic corridor which is an under-construction development program to connect Gwadar Port in southern Pakistan to China’s north western autonomous region of Xinjiang via highways, railway sand pipelines to transport mainly oil and gas amongst various other goods. When the corridor is constructed. 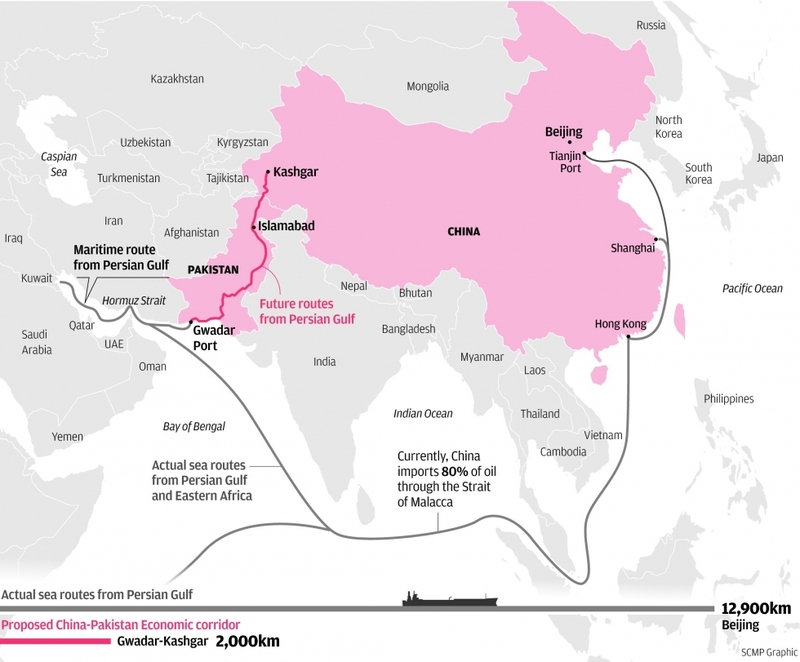 It will serve as a primary gate way for trade between China, the Middle East and Africa. Billions of dollars of coal, wind, solar and hydro energy projects will also be set up along this corridor which will add approximately 10,400 megawatts of energy to our energy starved national grid. Objective of 45,000 MW of electricity generation by the end of 2025.
a. Increase Primary school enrolment and completion rate to 100% & literacy rate to 90%. b. Increase Higher Education coverage from 7% to 12 %, and increase no. of PhD’s from 7,000 to 15,000.
c. Improve Primary and Secondary Gender Parity Index to 1, and increase female workforce participation rate from 24% to 45%. d. Increase proportion of population with access to improved sanitation from 48% to 90%. reduce maternal mortality rate from 276 to less than 140 (per 1000 births). f. Reduce the incidence/prevalence of Hepatitis, Diahorrea, Diabetes and Heart Disease by 50%. a. Become one of the largest 25 economies in the World, leading to Upper Middle Income country status. b. Reduce poverty level by half. c. Increase annual Foreign Direct Investment from USD 600 million to over USD 15 billion. d. Increase tax to GDP ratio from 9.8% to 18%. a. Place in the top 50th percentile for Political Stability (from bottom 1 percentile), No Violence / Terrorism (from bottom 1 percentile), and Control of Corruption (from bottom 13th percentile) as measured by the World Bank’s Worldwide Governance Indicators. a. Energy: double power generation to over 45,000 MW to provide uninterrupted and affordable electricity, and increase electricity access from 67% to over 90% of the population. (1) Reduce average cost per unit by over 25% by improving generation mix (15%) and reducing distribution losses (10%). (2) Increase percentage of indigenous sources of power generation to over 50%; and (c) Address demand management by increasing usage of energy efficient appliances / products to 80%. c. Water. Increase storage capacity to 90 days improve efficiency of usage in agriculture by 20%, and ensure access to clean drinking water for all Pakistanis. d. Food. Reduce food insecure population from 60% to 30%. a. Rank in the top 50 countries on the World Bank’s Ease of Doing Business Rankings. b. Increase Diaspora investment (via remittances) in private sector from USD 14 billion to USD 40 billion. c. Create at least 5 global Pakistani brands (having more than 50% sales coming from consumers outside Pakistan), and make ‘Made in Pakistan’ a symbol of quality. a. Join the ranks of the top 75 countries as measured by the World Economic Forum’s Global Competitiveness Report. b. Triple labor and capital productivity. c. Improve Pakistan’s score on the World Bank Institute’ Knowledge Economy Index from 2.2 to 4.0, and increase internet penetration to over 50%. d. Increase the number of tourist arrivals to 2 million. a. Increase road density from 32 km/100 km2 to 64 km/ 100 km2, and share of rail in transport from 4% to 20%.